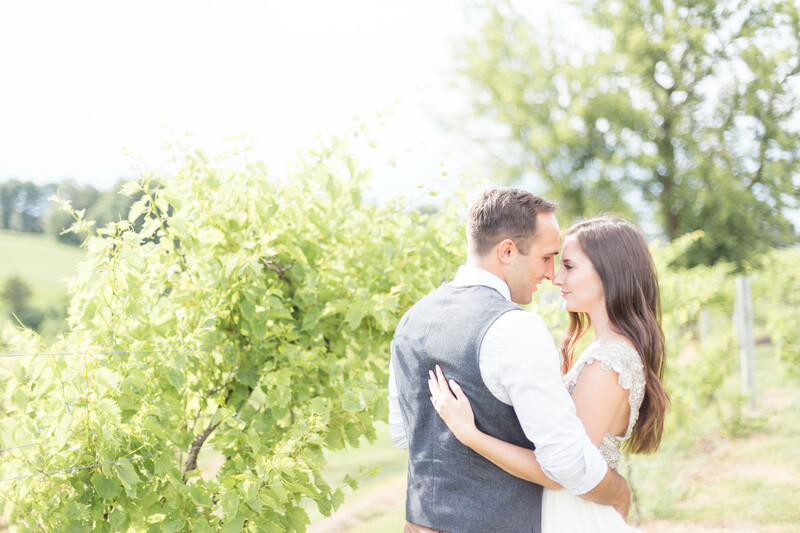 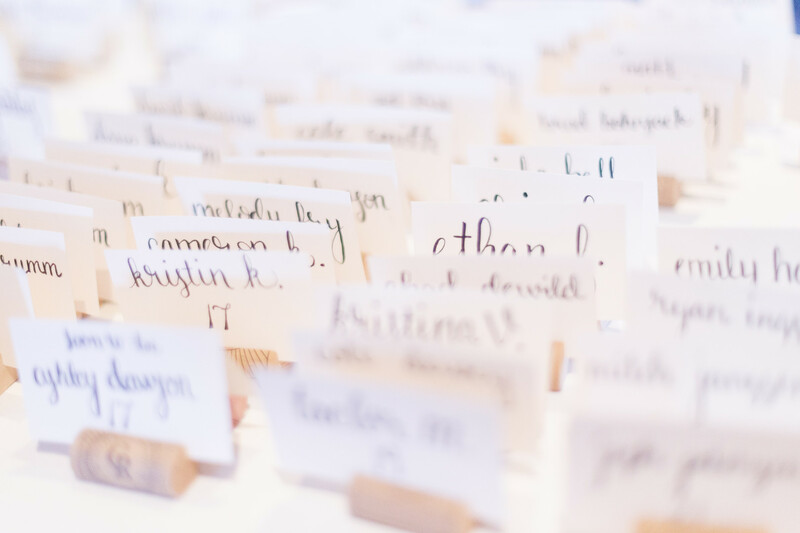 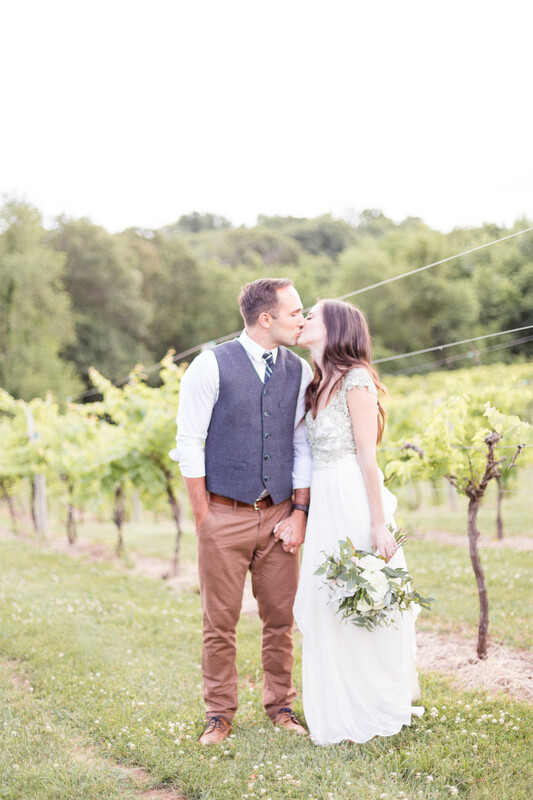 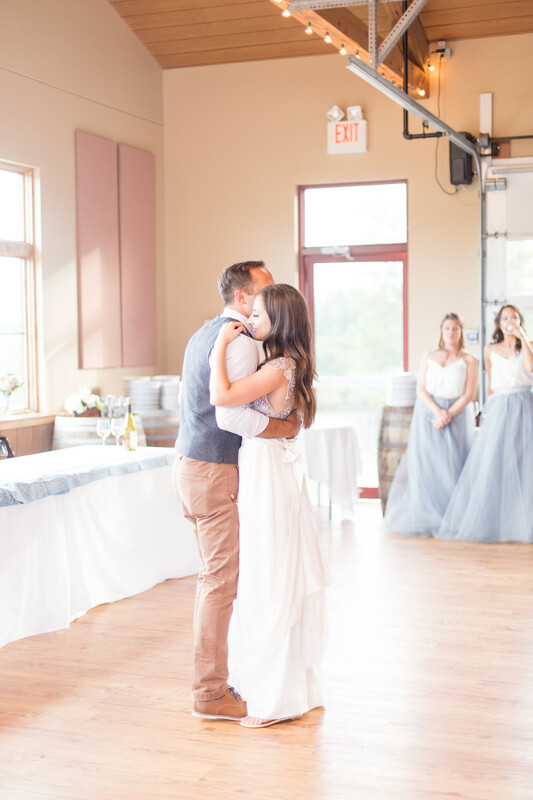 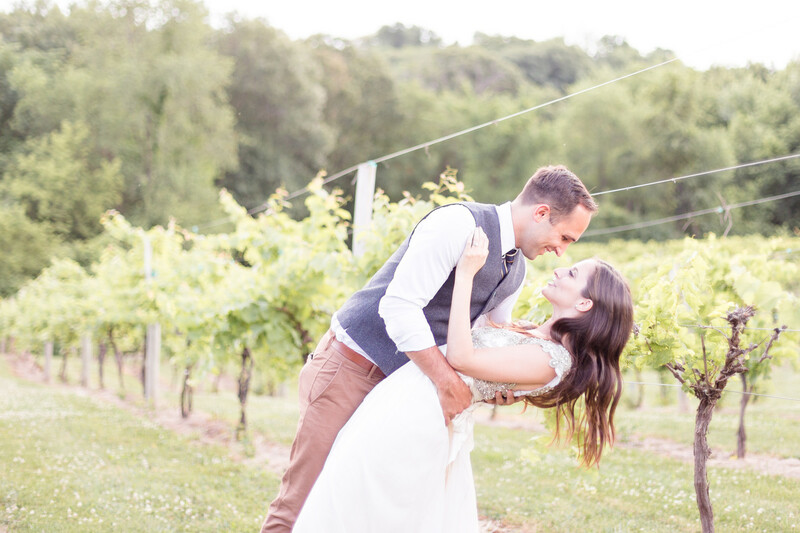 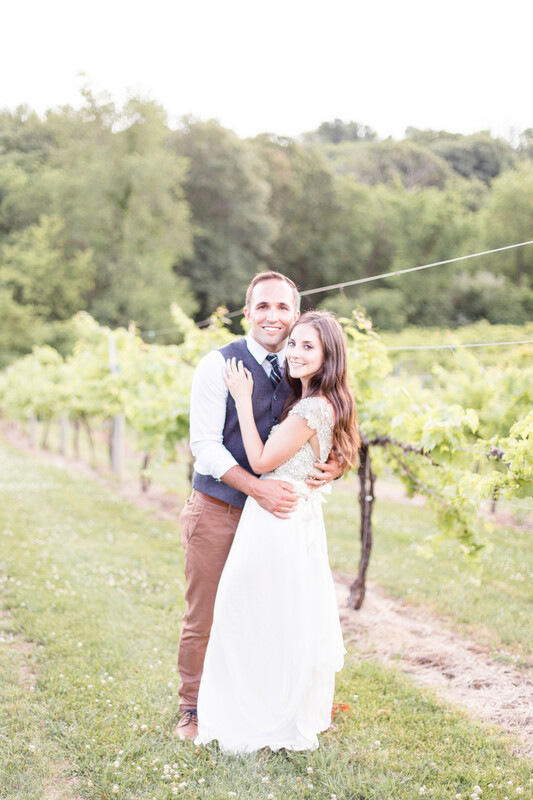 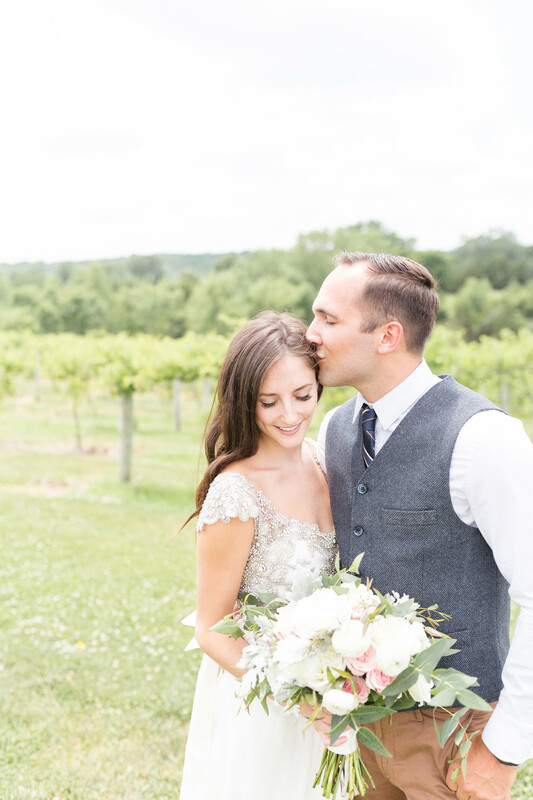 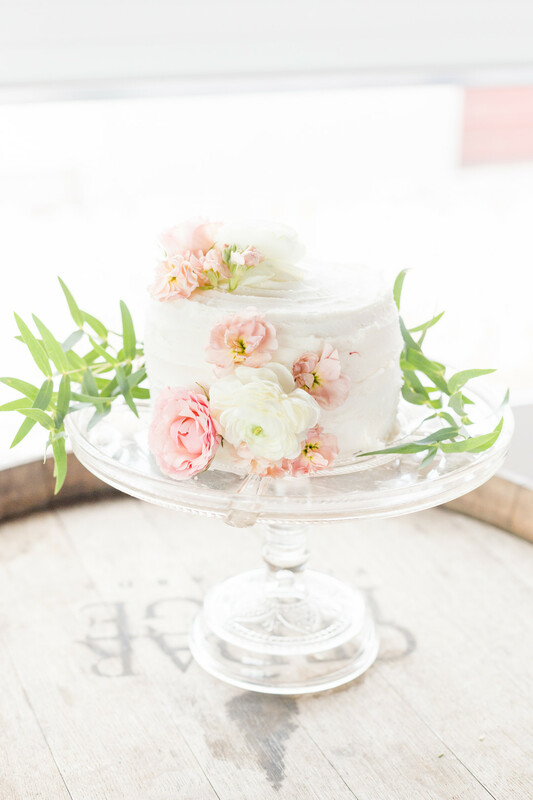 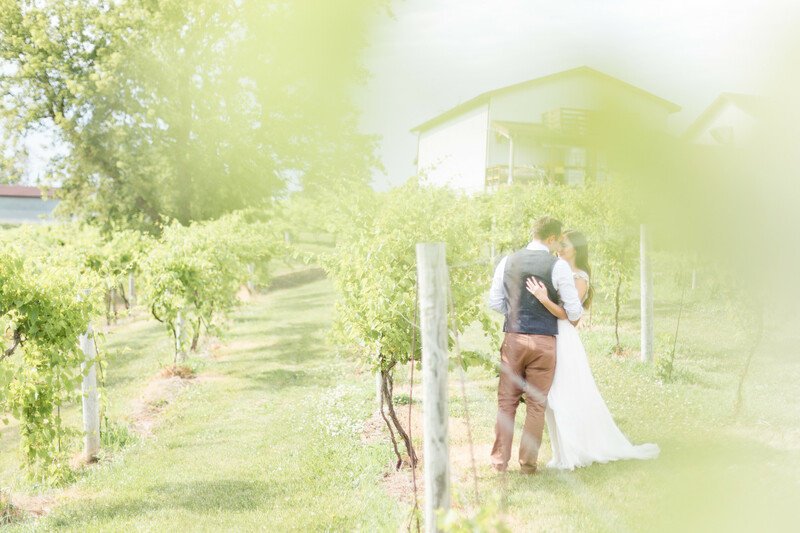 This classy vintage-inspired wedding at Cedar Ridge Winery was the perfect blend of personal DIY touches and gorgeous details. 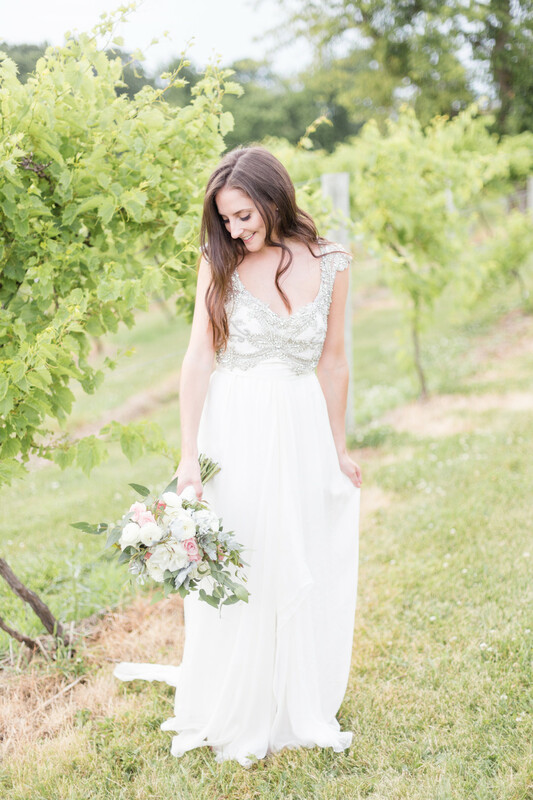 A major element in this wedding was Courtney’s Anna Campbell gown. 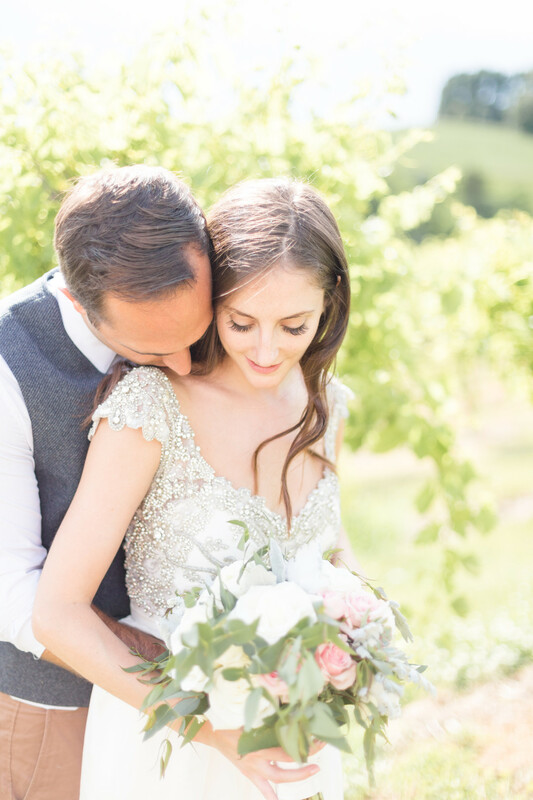 For years she drooled over the gorgeous beaded designs, so immediately after getting engaged, she was on the hunt for the perfect Anna Campbell! 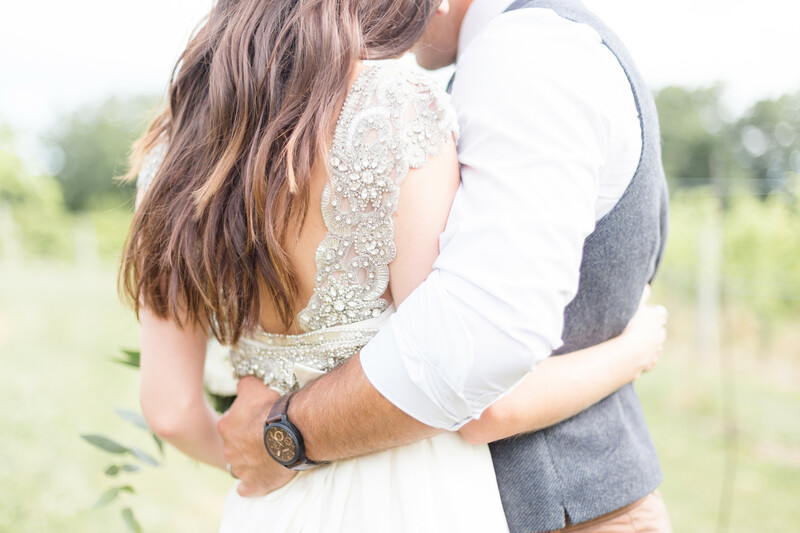 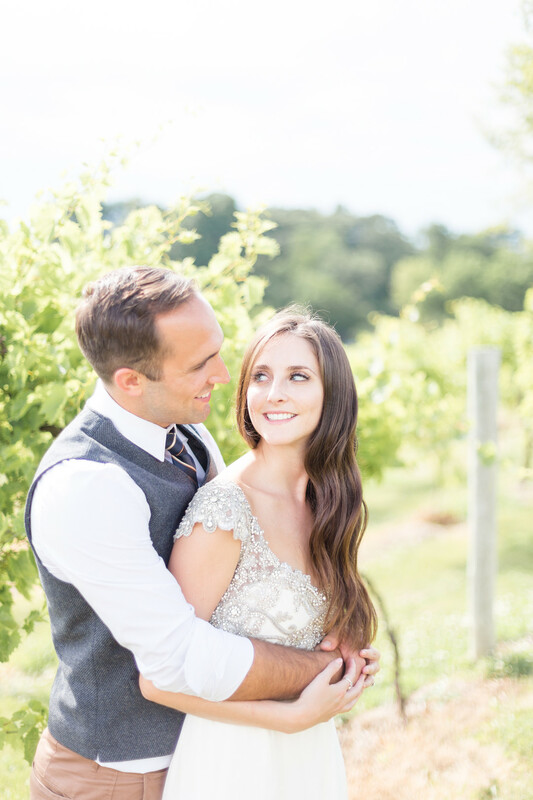 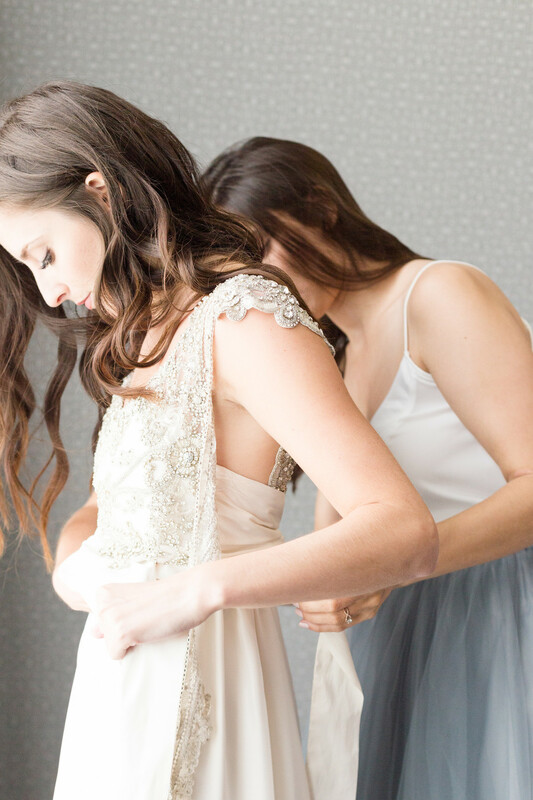 She ended up selecting the Talulah gown for it’s intricately beaded bodice, cap sleeves, and especially the bow tying it all together, which was her favorite part! 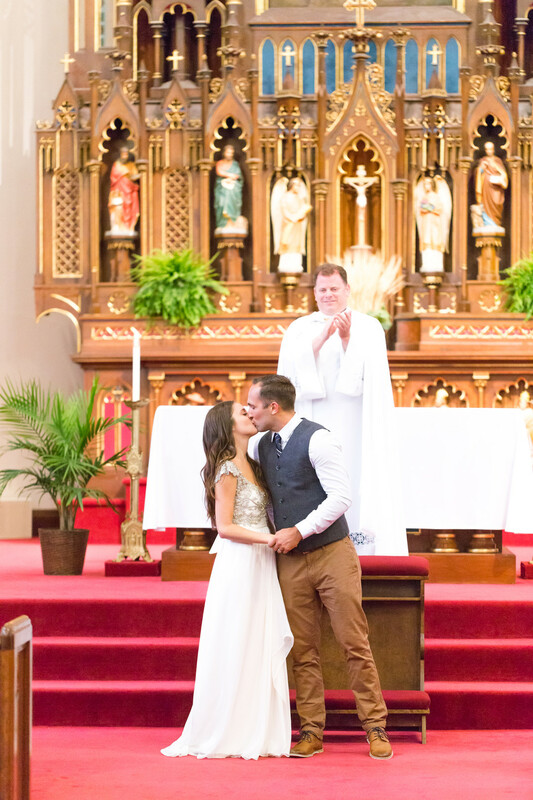 Jacob and Courtney got married in a traditional catholic ceremony at St. Mary’s Catholic Church in Iowa City, Iowa. 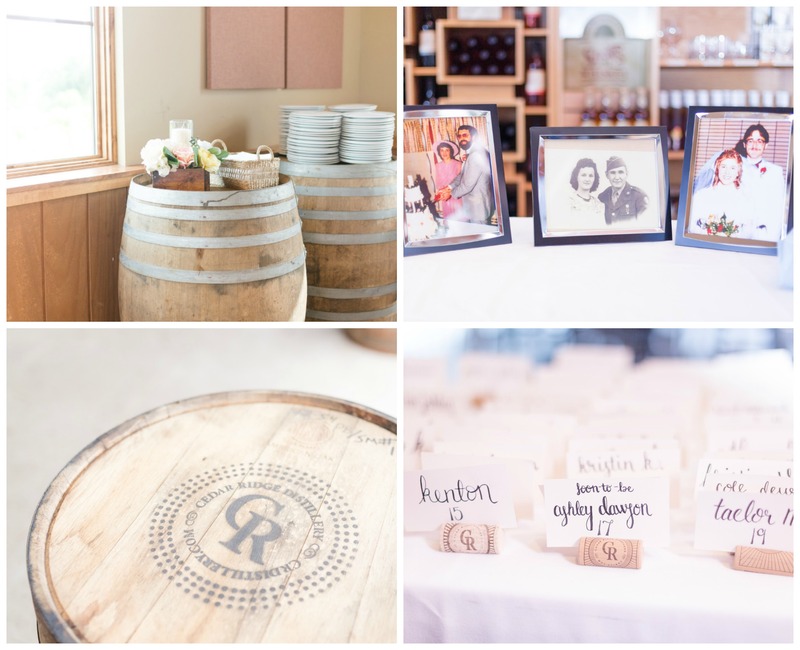 It was followed by a gorgeous reception at the Cedar Ridge Winery and Distillery, set in the heart of an Iowa vineyard. 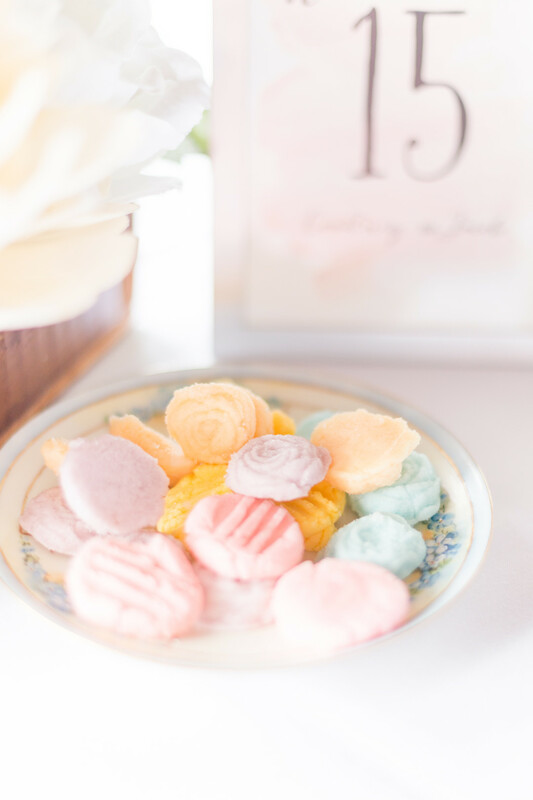 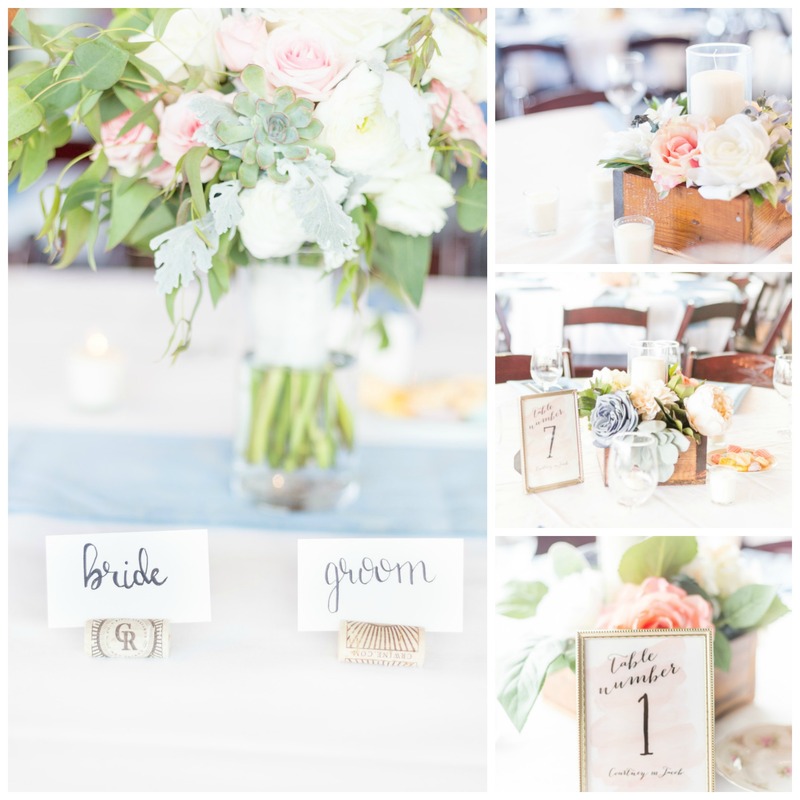 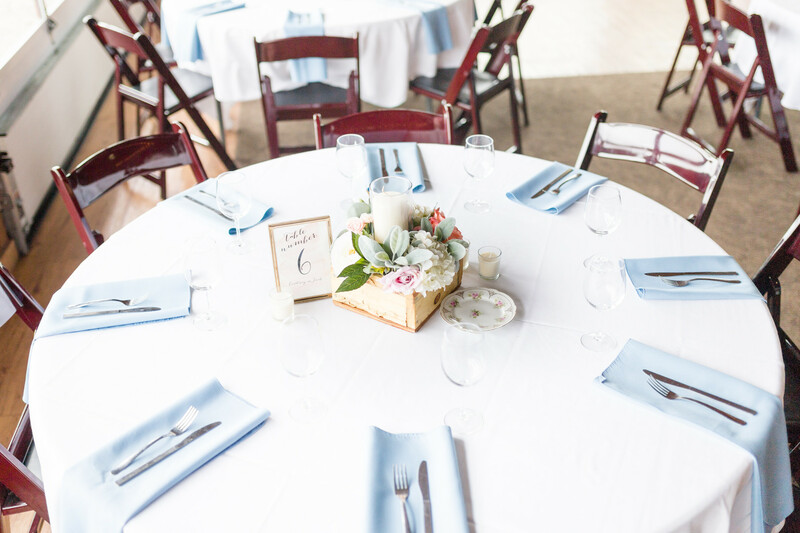 The tables were decorated with wooden flower boxes, handcrafted by Courtney’s father from century-old barnwood from the family’s farm. 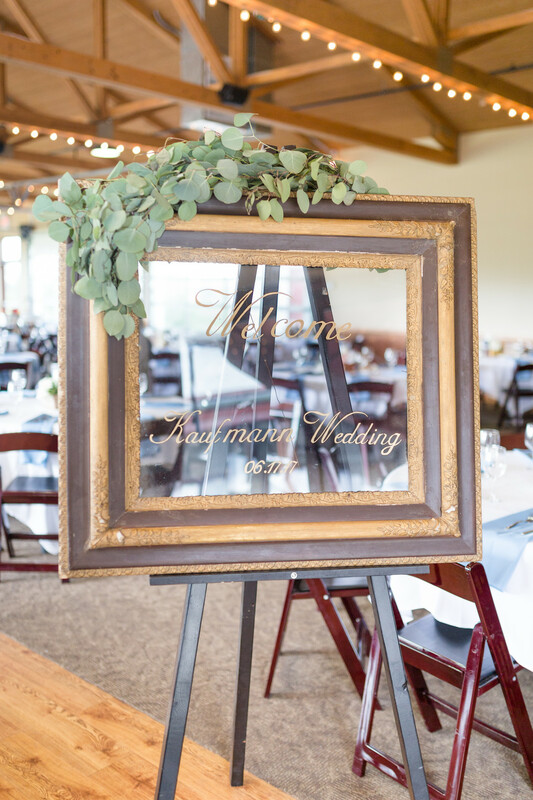 Courtney handpainted the welcome sign and her mother baked their gorgeous, three-tiered wedding cake. 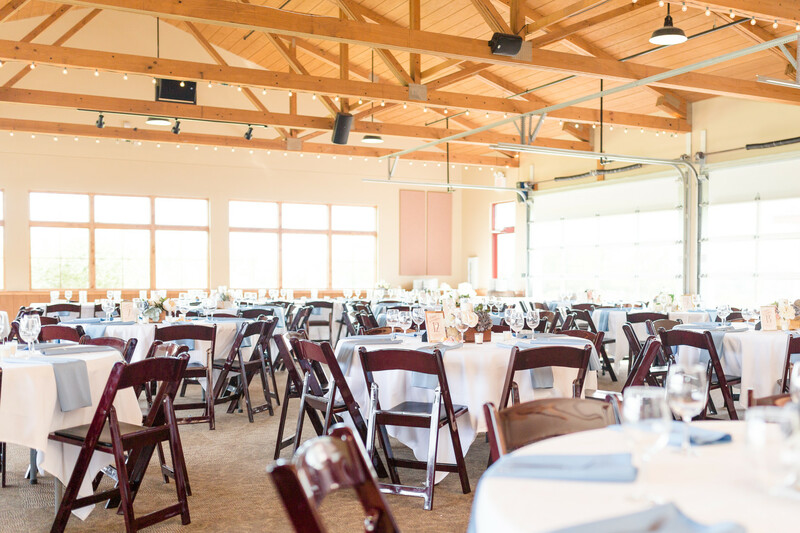 After dinner, the large glass garage doors were opened and guests were able to enjoy the reception al fresco. 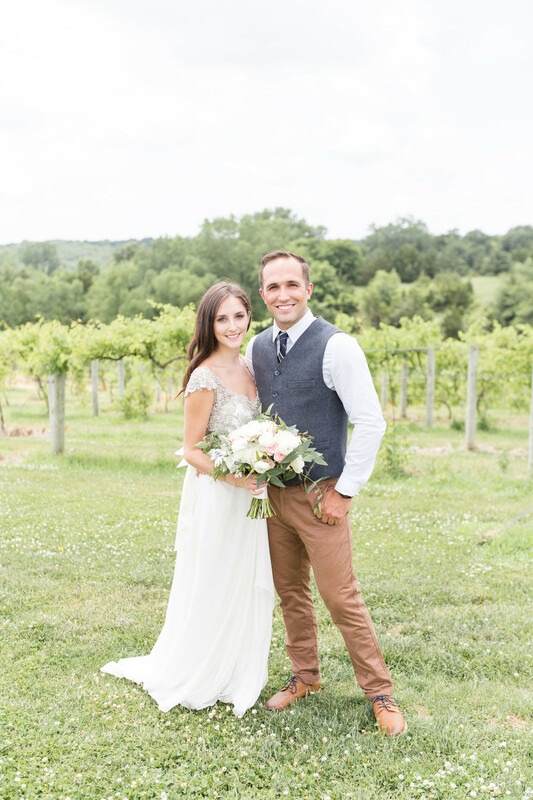 In addition to Courtney’s Anna Campbell gown, wardrobe was a big factor in the planning of Jacob and Courtney’s wedding. 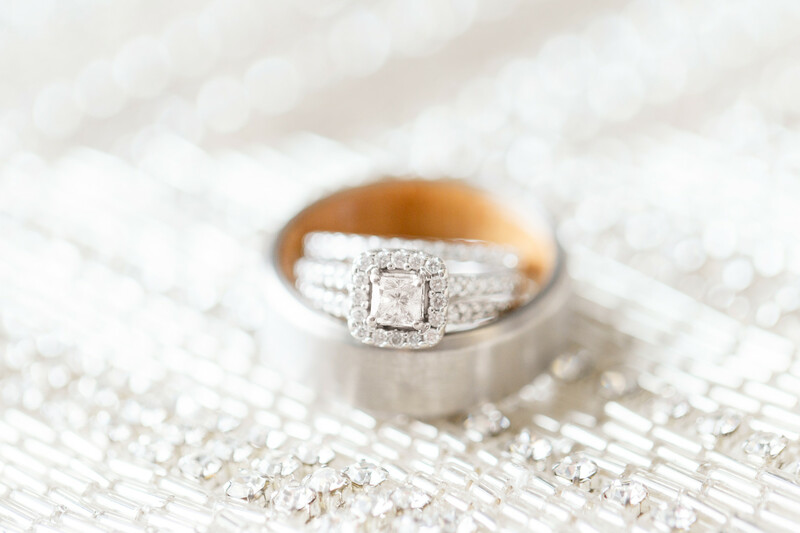 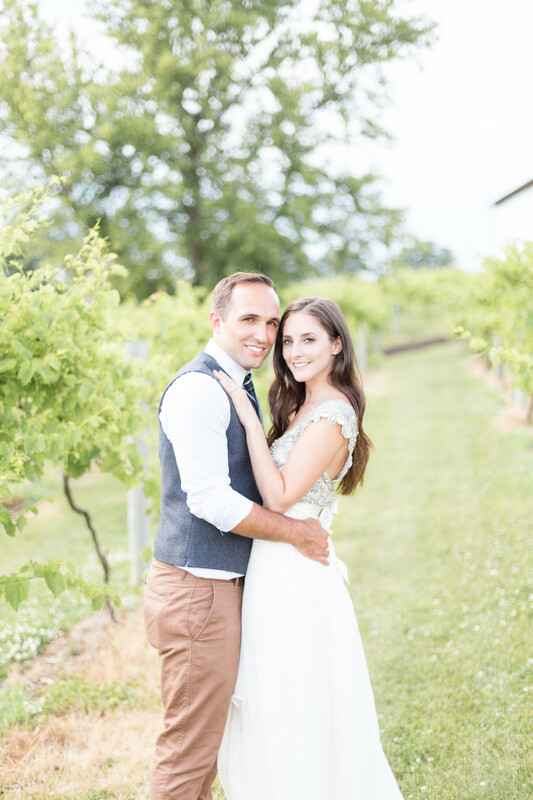 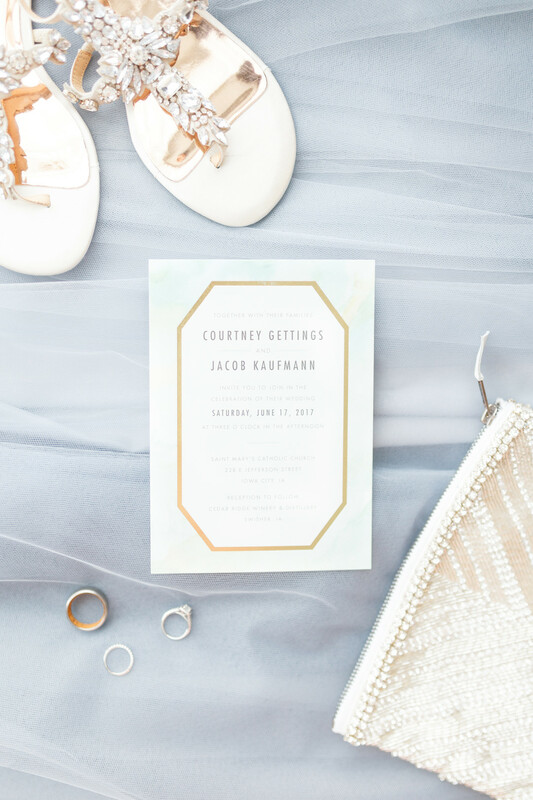 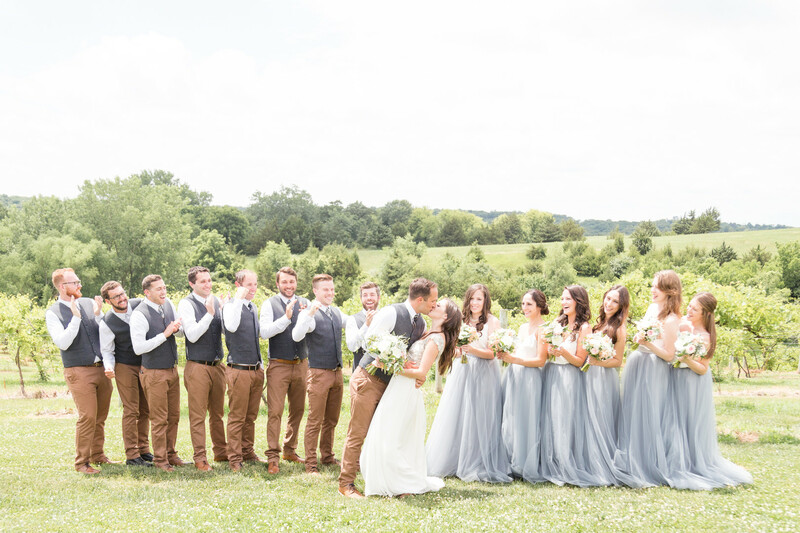 The couple loves simplicity and neutral tones. 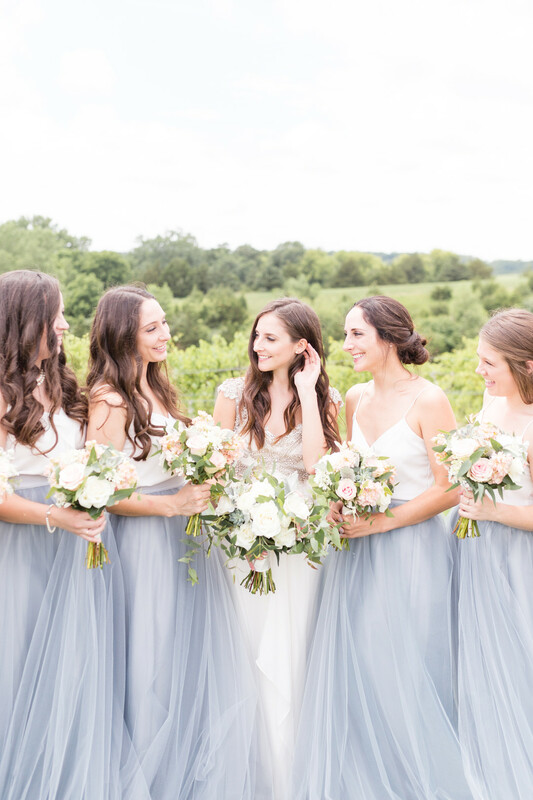 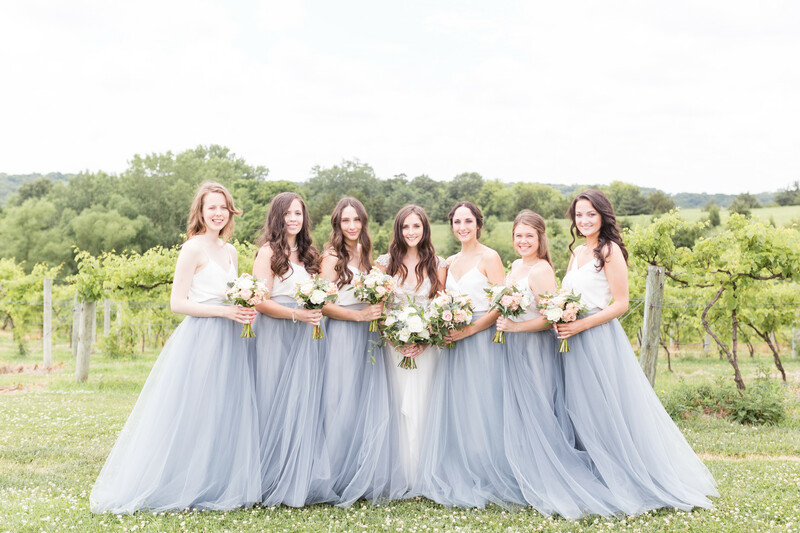 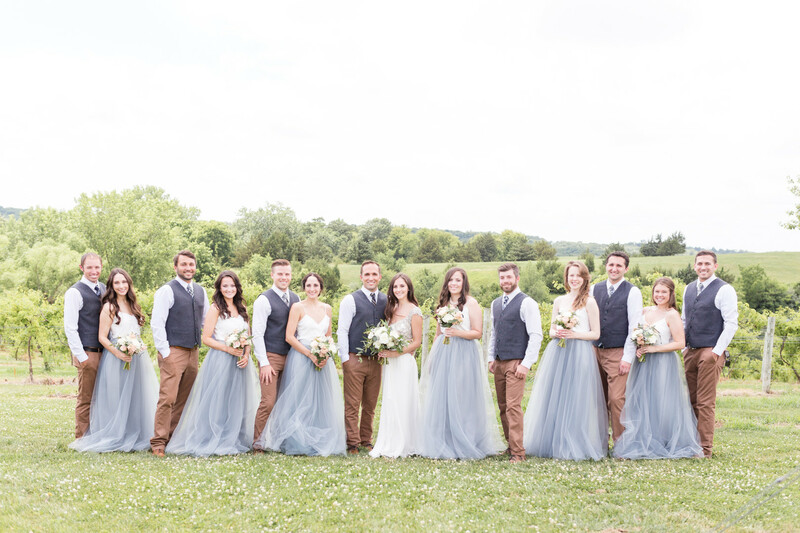 To compliment Courtney, her bridesmaids wore long, dusty blue tulle skirts paired with delicate white camisoles. 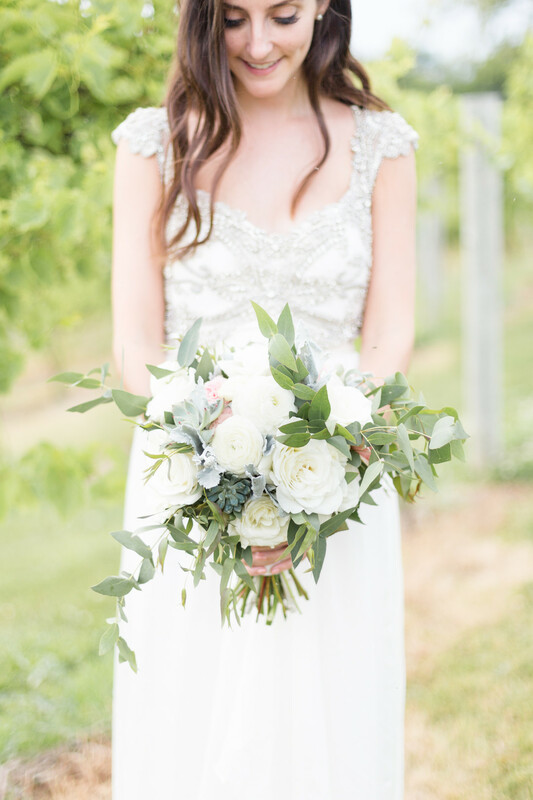 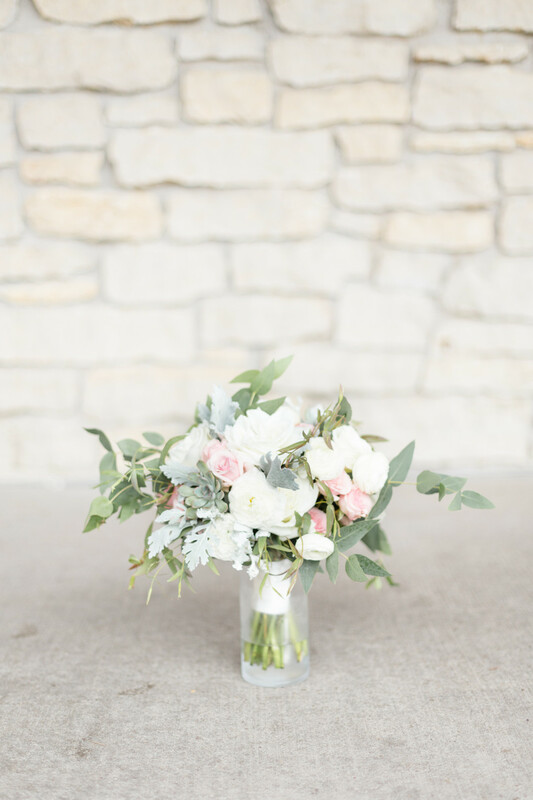 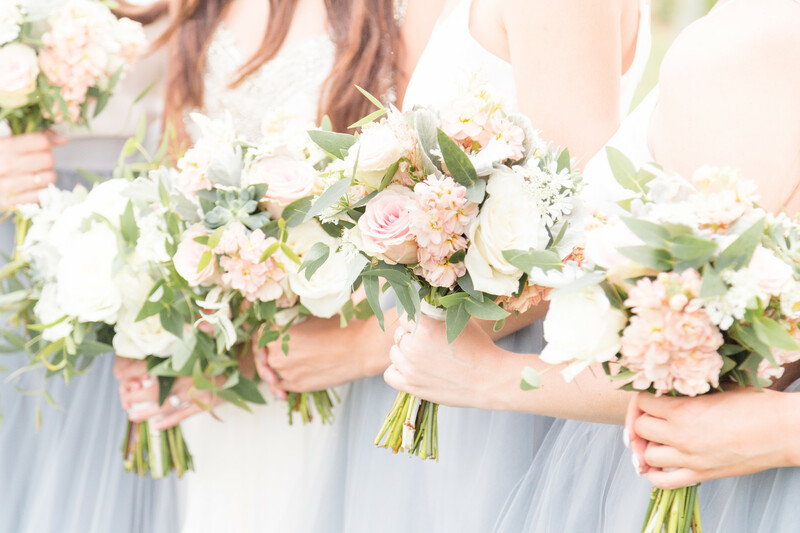 All of the bouquets by Studio Bloom Iowa featured lots of greenery with pink and white blooms and delicate succulents. 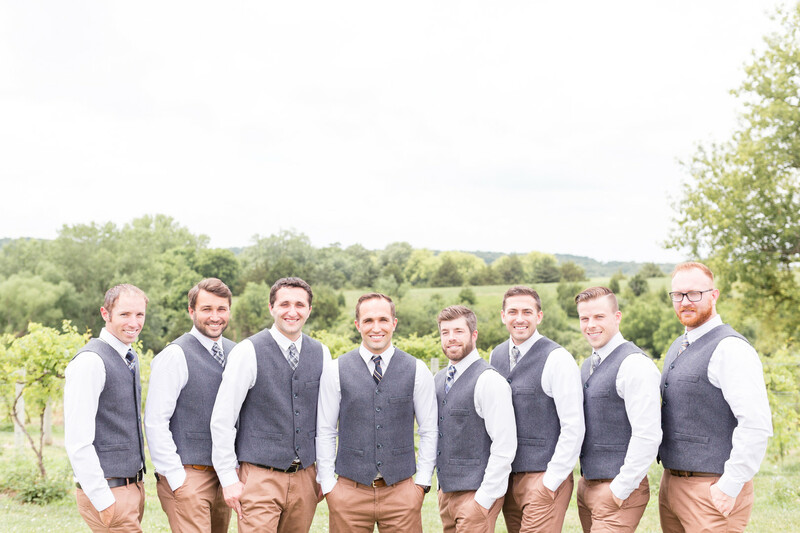 The men were dressed in wool vests, tan slacks, and brown shoes. 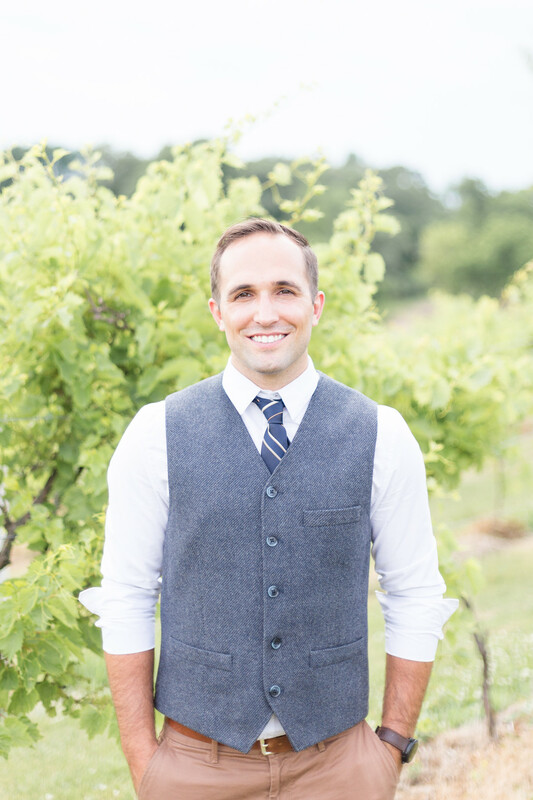 Jacob’s shoes tied in the other blue hues with blue laces. 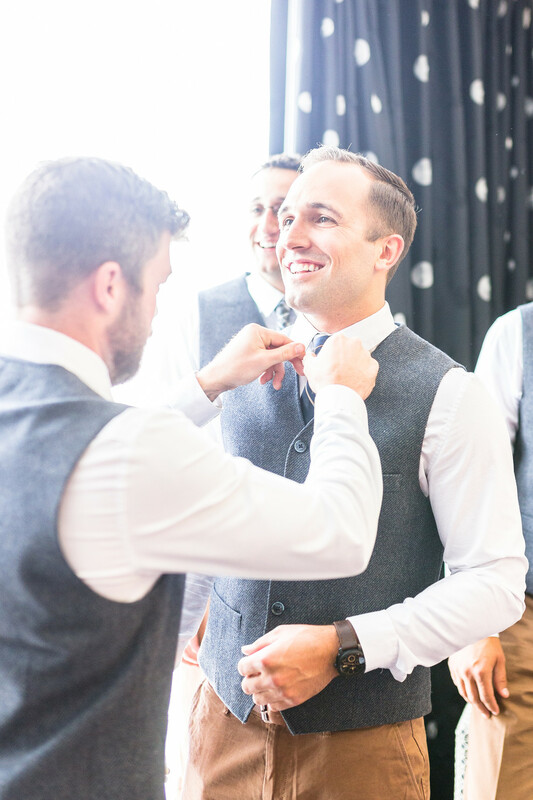 His navy and gold tie was the most important piece of the ensemble as it belonged to his grandfather.